When Rene Monory first opened Futuroscope in 1987, his vision was to have a park where guests could come and experience cutting edge multi-media attractions. Nearly every ride and show in the park is indoors, which is ingenious with France’s issues with cold and rainy weather. Monory wasn’t exactly a visionary in the terms of themed entertainment like Walt Disney, George Millay or Jon Binkowski. Rene has actually been a Senator for Poitiers, the city in France where nearly two million people a year flock to visit Futuroscope. Last time we talked about the park’s unique food and beverage offerings in addition to its stunning architecture. This time around, I will discuss the many attractions that make up this park that reinvents itself more than any other theme park on the planet. 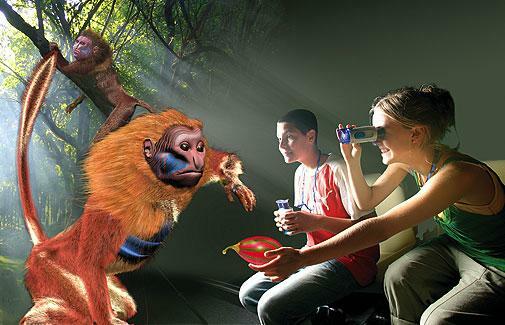 What first grabbed my attention about the park was in 2009 when they opened the world’s first attraction based on augmented reality: The Future Is Wild. Most of us have a pretty good idea of what virtual reality is by now. You put on an enormous headset that projects an image on to an enclosed small screen within the headset that fills the wearer’s field of vision. When the person wearing the headset physically moves left or right, up or down – the image adjusts accordingly as if you were looking around a real three-dimensional space or room. 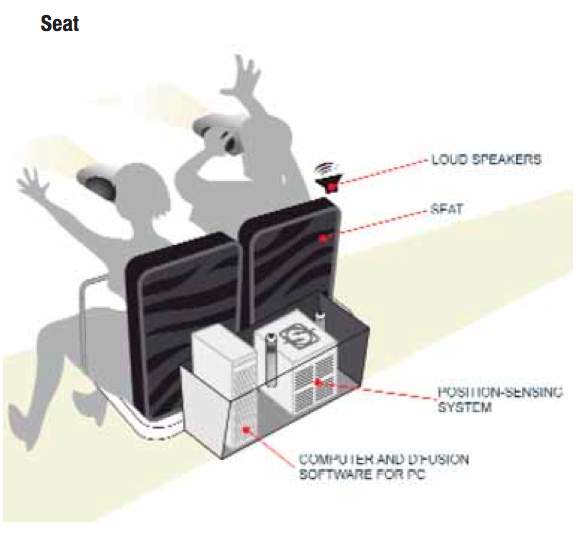 The problem is, that headset is incredibly hard to move around in and can often result in motion sickness. Augmented reality takes things to a new level. 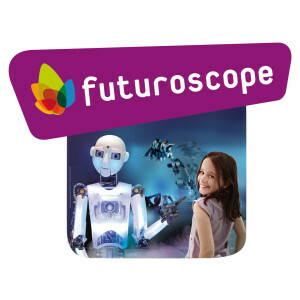 In the case of The Future Is Wild, Futuroscope created a ride where passengers stopped directly in front of three dimensional sets that were completely barren of any kind of animatronics, lighting or special effects. 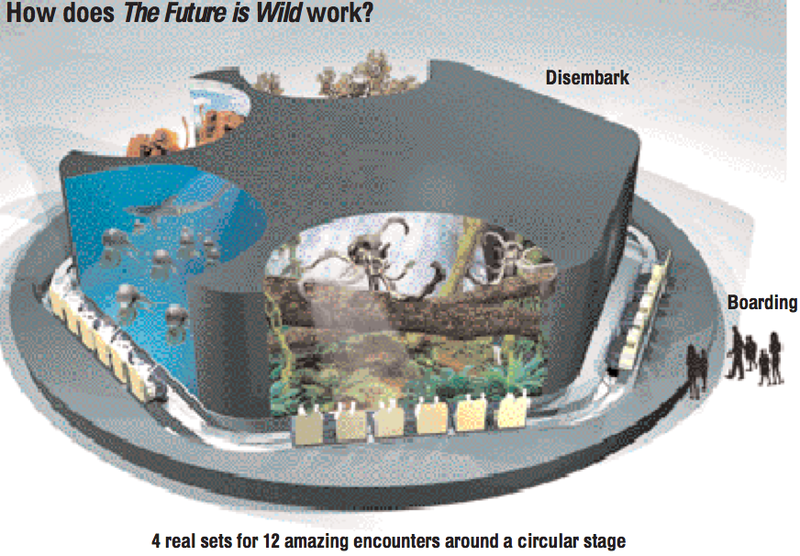 Through a set of light weight binoculars containing two OLED (Organic Light Emitting Diode) screens that can look onto the stage, animated creatures start to appear out of nowhere. 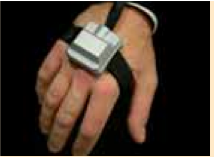 In addition, riders wear a bracelet that interacts with a sophisticated computer system behind the seats provided by French technology company Total Immersion. This bracelet allows guests to reach out and interact with digital critters that look like they are jumping from the set right into your lap. Rather than me blather on about it, why not watch a video about it? I will see you on the other side. So who’s ready to jump on a plane and try out this new technology? Sadly, The Future Is Wild already closed at Futuroscope. Unfortunately, I don’t have an exact reason as to why the ride closed and the technology isn’t used for a different type of attraction. If anyone can shed some light on it in the comments section, I would greatly appreciate it. One of the gripes I hear most about theme parks is they don’t do enough to bring in new attractions to the park every year. This park uses a 10/20/60 model when it comes to financing new endeavors. Meaning it uses 10% of its turnover to create 20% new content with the intention that 60% of its visitors return year after year. Another beauty of a park based primarily on multimedia attractions is that you can easily swap out experiences as the years progress. It’s a matter of changing out a film, lighting, theming and programming. 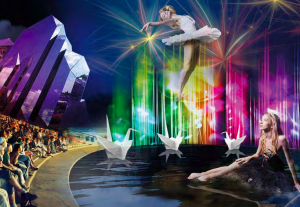 So let’s take a look at what Futuroscope has just recently opened for 2013! Dances With Robots takes the park’s former robotic arm thrill attraction where guests are twisted around by a giant Kuka robotic arm and gives it a new nightclub vibe. Martin Solveig provides the background music with his world renowned hit, “Hello.” Guests tell the operator which of three speed/”dance” levels they want. 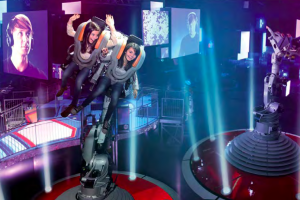 This choice allows the attraction to become more family-oriented, allowing smaller riders just above 40 inches the ability to experience the ride at the lowest thrill level. For me, the real star of the new attraction is in the queue – a robot by the name of Robothespian. The life-size robot built by British company Engineered Arts is made almost entirely of white aluminum and is operated by compressed air. His head has three processors and a video camera which allows him to interact with guests in real time. 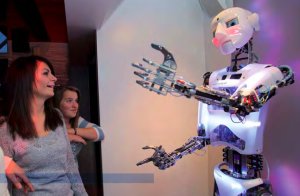 Robothespian can copy and interact with visitors and can speak a total of 15 languages including English, French, Hebrew and Mandarin Chinese. Here is a quick preview of this new show, it makes no sense, yet I love it. Enjoy. Also new for 2013 is Fab 4D: A Journey Into The Musical World of The Beatles. Guests watch the movie on a vibrating platform that is equipped with sensory effects. Guests are greeted with the smell of fresh strawberries when listening to the tune “Strawberry Fields Forever.” They will feel sea spray and feel the tentacles of an octopus during “Yellow Submarine” and so on. You get the idea. Check out a preview of the movie below. 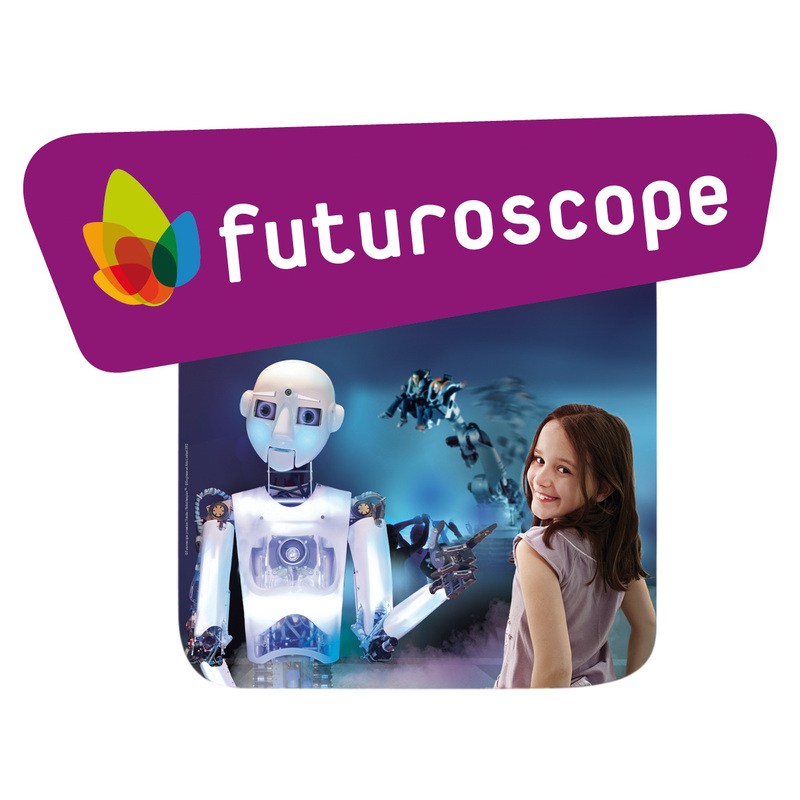 If you are a fan of IMAX films, then Futuroscope has got you covered. The park is a showcase of what IMAX technology can do. In 2013, they are introducing two new films: Ultimate Wave Tahiti and Born to Be Wild. Both films are shown in 3D and have won awards for the big screen format categories. 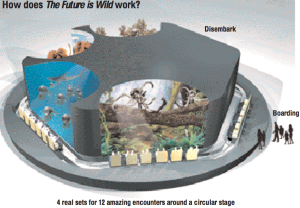 So does Futuroscope sound like a park you would want to visit? Is changing out ride films and adding new effects enough of a draw to bring you back year over year? Or do theme parks need to rip out coasters and dark rides entirely and build new experiences at great expense? For more stories like these make sure to follow us on Twitter by clicking here or like our Facebook Fan Page by clicking here!!! 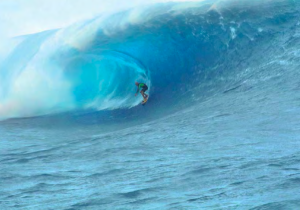 This entry was posted in International Parks, Theme Parks 101 and tagged augmented reality, Born to Be Wild, Fab 4D, Futuroscope, Imax 3D, Lady 0, Martin Solveig, Poitiers France, Rene Monory, Robothespian, The Beatles attraction, The Future is Wild, Ultimate Wave Tahiti. Bookmark the permalink. Trackbacks are closed, but you can post a comment. While I think the park seems interesting I’m not a fan of the all digital approach to some of it’s attractions. I don’t mind a bit of AR or 3D projection but what makes theme parks special to me is how authentic it feels and AR still has years to go before it can cross the uncanny valley. What I love about animations or more subtle projection effects is how they look “real” and all blend together. If I’d have to take a guess as to why the AR attraction was pulled it’s probably due to the tech being unreliable or very fragile. It might also be a problem with accessibility, if I’m not mistaken something like 20% of the population can’t see 3D and the binoculars do not look glasses friendly. Plus what happens when one of the computers running the show blows? Does the whole thing stop, does the one part freeze and the rest keeps going? So yeah, not sure if I like this tech in theme parks but I do think this would be great in museums with limited space.